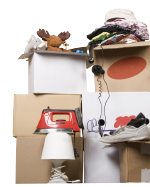 One of the challenges of moving house or going overseas is that you need somewhere to store your personal belongings and it’s sometimes not convenient for friends or family to do this – or it may just be too awkward to ask! A good solution to this is to use storage space, where your belongings will be safely secured for however long you need them, with no hassle and complete peace of mind. This saves you the need to ask anyone to help out. At Lok’nStore, we provide secure storage space for your belongings, with the flexibility to use the service for as long as you need. We also offer the space for business purposes, such as pallet storage and warehouse space, but we can also accommodate additional office facilities, if you require these. We offer a range of sizes to accommodate all kinds of purposes and we can work with you to determine what is right for you. You can get a price for your storage needs directly on our website, or alternatively, feel free to get in touch by calling us on 0800 587 3322 and we will be happy to discuss your needs in more detail.